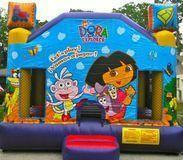 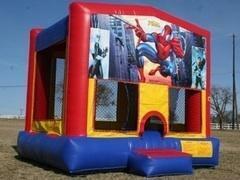 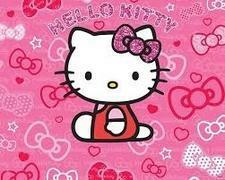 We carry Quality bounce house rentals at Reasonable prices. 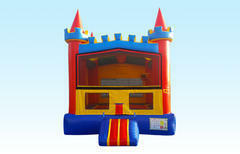 You will find the most unique themes, features and color schemes that are sure to make any party rental the best yet! 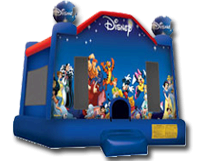 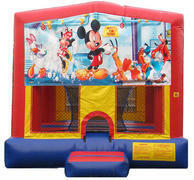 Our Bounce House Rentals come in all different sizes, shapes, colors and can even be themed to fit your special event. 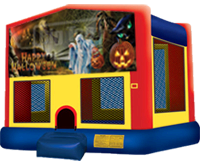 Take a look at our Bounce house rentals below and click on the photo or title to get more information, larger photos, and videos of each inflatable rental. 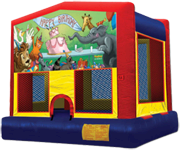 If you're interested in something Larger than a bounce house that is equipped with an inflatable slide see our Combo Bouncers categories page. 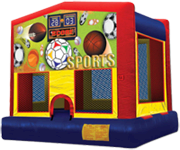 We are a full service party rental company, which mean we deliver, set up and pick up for every event. 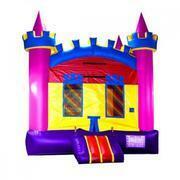 We deliver, set up, and pick up each bounce house for a hassle free experience. 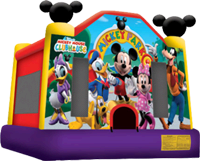 A full day is considered 6-8 hours, and we deliver at least 1 hour before your party rental and up to 5 hours prior, depending on scheduling for the day. 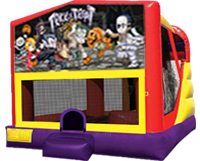 We do not schedule exact drop off and pick up times, but will call to confirm your bounce house rental and give you a delivery window the day before your event between 5:30 and 8:30 pm. 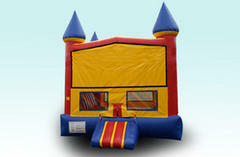 We Take pride in excellent customer service and efficiency for each of our bounce house rentals customers! 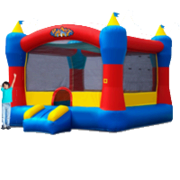 We strive to make sure each inflatable event is one to remember, and a smooth experience from start to finish. 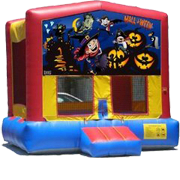 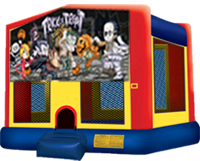 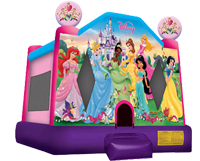 We carry a large variety of bounce houses, inflatables, water slides and other party rental products to satisfy any of our customers needs, and each bouncer is cleaned frequently to ensure optimal health and safety. 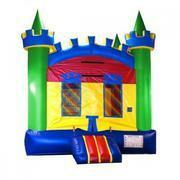 We are also fully insured and highly trained for a worry-free Bounce house rentals experience. 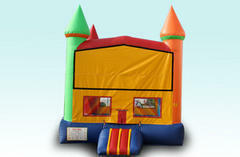 We been in business for years, since 2006, and we are proud to continue to serve you! 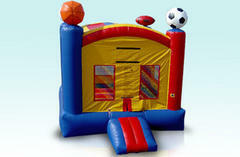 We offer a large selection and variety of Bounce House Rentals. 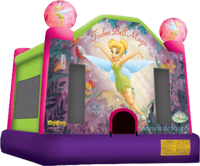 We are located in Brandon, FL BUT we deliver to a large area including: Brandon, Seffner, Tampa, Valrico, Dover, Lithia, Mango, Plant City, Riverview, Seffner, Apollo Beach, Gibsonton, and more! 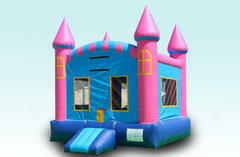 Depedning on distance from our warehouse, some travel fees may apply in some areas. 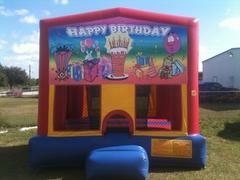 Give us a call at 813-404-6744 or get a quick quote online to get your party started!